Awoke this morning to the smell of smoke and promptly started looking around my house for its' source. Checked downstairs, asked my wife if she'd burned anything to start the day - no, nothing. Shrugged it off and went to the radio station noticing when I arrived that the smell was present. Turns out there's more than 50 fires burning in the province, 8 of which are out of control and was cause for a city-wide smog warning. 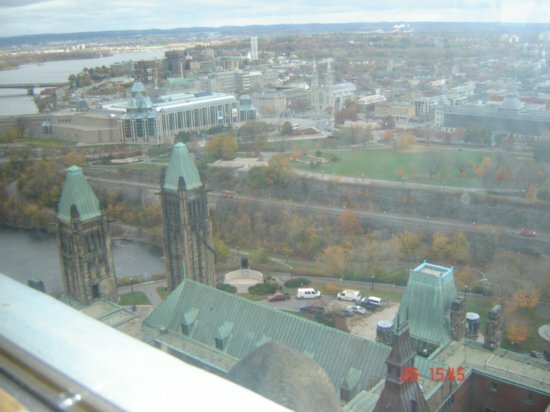 Apparently the smoke and haze reached all the way to Ottawa. Funny, I thought the prevailing winds blew the other way. So, $1 billion plus are to be the costs for security at the upcoming G-8 and G-20 summits, and do you want to know the real reason for the hefty price tag? Logistics? Terrorist threats? Nope. It's the fault of the Liberals. Public Safety Minister Vic Toews told CTV’s Question Period yesterday that using the military – which would have been a much cheaper option than the RCMP – would have provoked political outrage from the Liberals. Damn those Liberals! Speaking of poll watchers, this morning a poll on possible coalition governments was published and with Jack Layton at the head of such a coalition, it would defeat the Conservatives by a 43-37 percent margin. Interestingly, in such a scenario in Quebec, Layton polled ten points more than the Bloc. Michael Ignatieff did not fare as well. With him leading a Liberal NDP coalition, he lost out to Harper by a 40-34 percent margin. Go Jack go! Mulroney, Schreiber dealings ruled inappropriate - if it were you or me, they would have been ruled criminal bribery. Word is the Americans are still planning an offensive in the city of Kandahar, located in the spiritual capital of the Taliban and the region where most Canadian soldiers are currently serving.